So I have been thinking a lot lately about the future and the type of job I would like to be in. Obviously I will always be in the makeup industry, its where my heart lies, I could go outside of that fully. Recently however I have been doing a lot of fashion shoots, picking clothes or wearing clothes I really like from a selection that I have been sent. I get to style different items with things that go together, colours that match or even block colours. Its intriguing to me and has become something I actually really, really enjoy. As I follow through with this, the more I began to enjoy the projects I am working on, I get to meet new people and to me that is super fun. I do not think I would be where I am, shooting some cools photos with the people I have met along of the way. 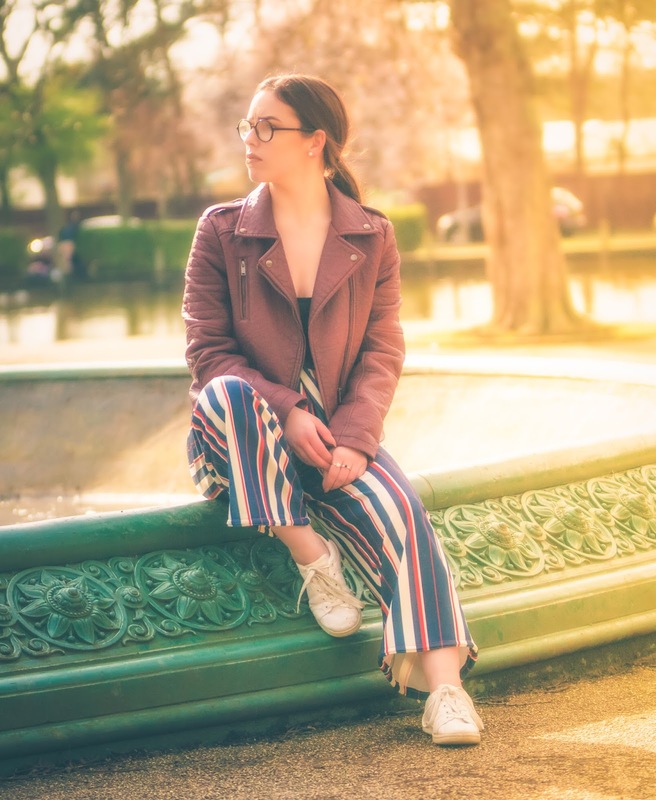 At first I am not going to lie, I was crapping myself at the thought of standing in a park, in items of clothing that I liked to wear and a person with a camera stood taking photos of me. I always thought people would stand and stare or even holla things at me for having a photoshoot in a park. As soon as I was having my photos taken, I realised no one cared. They just want to go about their everyday lives, whilst I carry on with mine. No body is bothered, as long as you are happy and not causing a huge scene everyone is fine. Which made me more comfortable to shoot different shots. Basically I am saying be comfortable with what you do, just be confident in your own skin. Oh and its cool just add a hobby in that you enjoy to. That's what I did and now I love doing different fashion shoots, being creative and happy. Fashion isn't my life but it will be something that sticks with me always because of what I am doing right now.